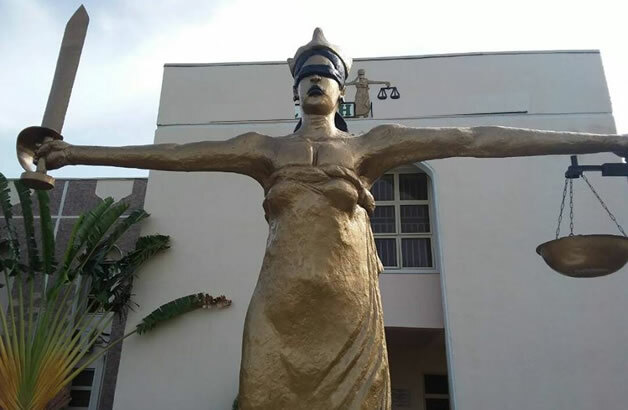 A 26-year-old employee, Isaac Ayoke, is to spend the next 30 days in prison for stealing his employer’s N1million, an Ikeja Magistrates’ Court in Lagos ruled on Tuesday. Magistrate F.F George pronounced the verdict after the accused pleaded guilty to two counts of stealing and burglary. She sentenced Ayoke to 30 days imprisonment on each of the counts but ordered that the sentence should run concurrently. George, who sentenced the accused without an option of a fine, said the convict should serve the sentence with hard labour. “You are hereby sentenced to 30 days imprisonment with hard labour. “The sentence would serve as a deterrent to others who might want to engage in similar acts,” she said. The accused, a resident of Ajah area of Lagos, had during his arraignment on August 14 admitted committing the offences and was remanded in prison. When the case was called up on Tuesday for facts and sentence, he again admitted his guilt and the magistrate consequently convicted and sentenced him. The prosecutor, Sgt. Godwin Awase, had earlier told the court that the accused committed the offences on July 7 at Mushin in Lagos State. He said that the accused burgled one of the offices of GHL Glass Tech Nigeria Ltd. where he stole N1million. “The accused, after closing hours, broke the ceiling to gain entrance into the office where the money was kept. “He bolted away with the money and refused to report for work the following day,” he said. Awase said that the burglary and theft were recorded by the Closed Circuit Television camera installed within the company. “The management played the CCTV camera and discovered that the accused was the culprit. “They went in search of him and caught him in his brother’s place where the money was recovered from him. “He was handed over to the police,” the prosecutor said. The offences, he said, contravened Sections 287 and 307 of the Criminal Law of Lagos State, 2015.